Fairlands Valley Spartans were in action at the Stevenage Race for Life today, helping with course set-up in the hours before the race and providing marshals to ensure safety during the race. 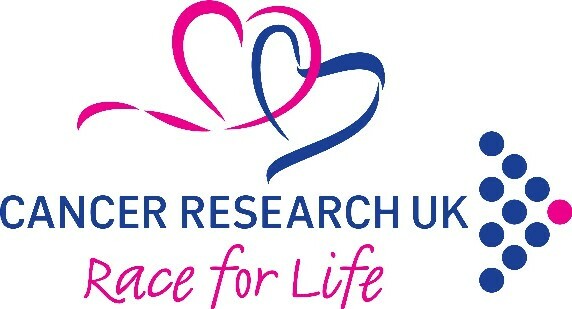 Following the race the club was awarded a special ‘Flame of Hope’ award commendation by Cancer Research UK for its continued support and assistance in the organisation and marshalling of the event. Paul Holgate, who is the driving force behind the club’s activities supporting the event, accepted the certificate on behalf of the club. 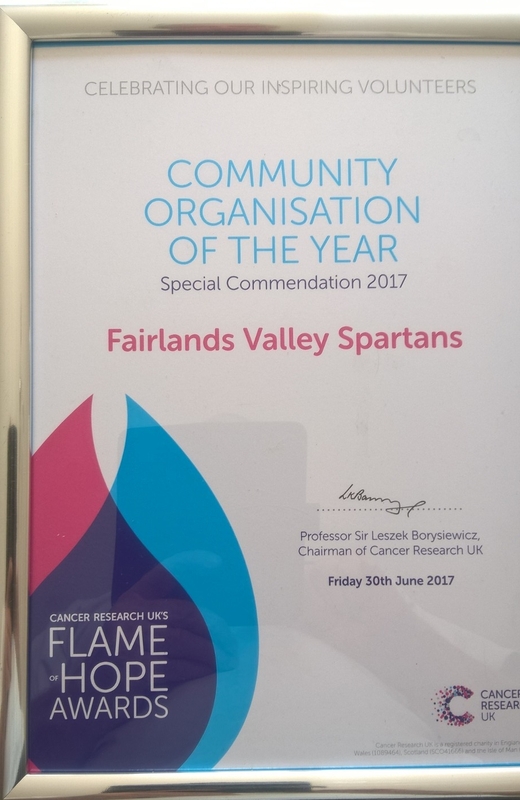 Thank you to all Spartans and friends and relatives who have supported this event over the years resulting in this award.